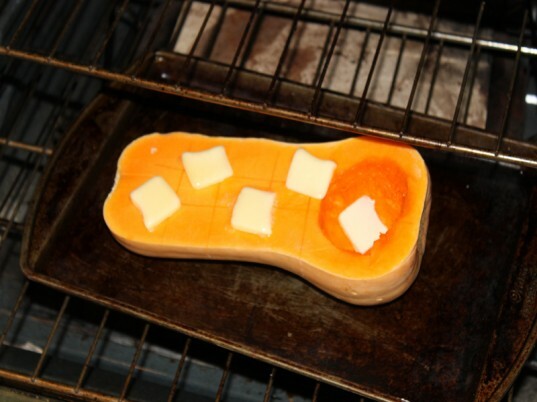 Cut the butternut squash in half, remove the seeds, place 3 tablespoons of butter on top and place on a cookie sheet. Bake in the oven at 350 degrees for 30-45 minutes or until tender. 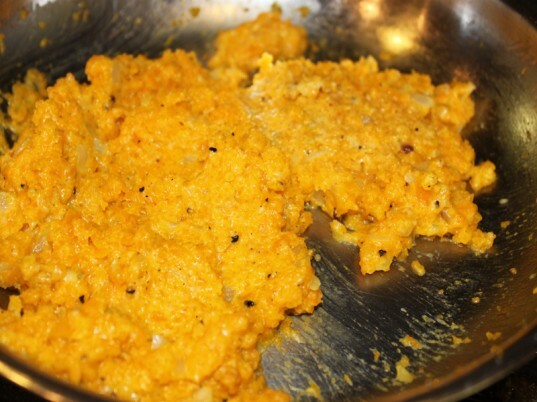 Remove from oven, let cool and scoop out the flesh, puree in a food processor or blender. Melt 1 tablespoon butter in a saucepan over medium heat. Add the onions and saute for 1 minute. Add the butternut squash puree and saute about 3 minutes. Remove from heat and add 1 tablespoon cream, 3 tablespoons Parmesan cheese and the nutmeg. Set aside. Add the flour and salt to a stand mixer bowl and mix using the dough hook. Add the eggs one at time, then the olive oil and mix until a ball forms. If it is too dry add a tiny amount of water, if it is too wet add a tiny amount of flour. Next, kneed the dough on a floured surface for about 10 minutes. Brush the dough ball with the remaining olive oil and cover, let rest for 30 minutes. Cut the dough ball in half, roll half out with a rolling pin on a floured surface, shaping into a large rectangle about 1/4 inch thick. Leave the other half covered to prevent drying. Use a knife to cut the dough into squares. Tip: We cut ours into large squares, however they get much bigger when they are cooked, if you want smaller ravioli cut squares that are about 1/2 the size that you want the ravioli to be. Spoon a small dollop of the butternut squash mixture into the center of each pasta square. Fold one corner over to the opposite corner, forming a triangle. 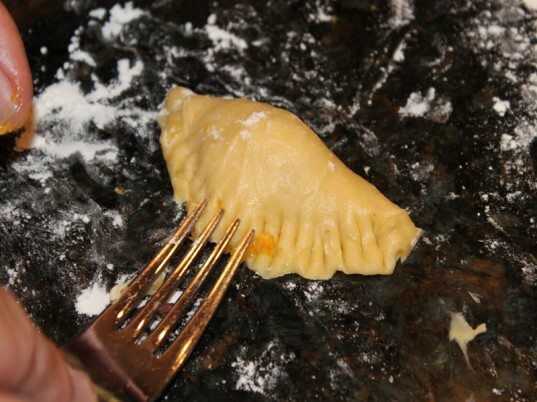 Seal the seam by pressing a fork into the edges all the way around the ravioli. 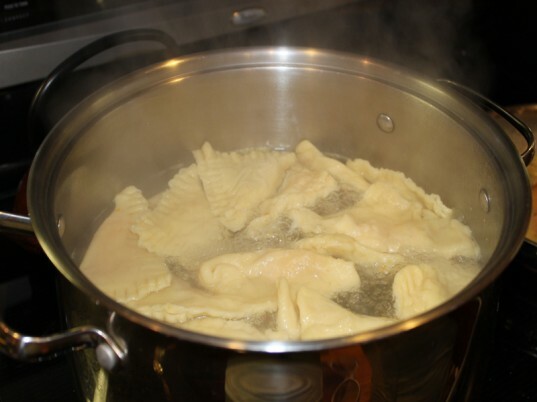 Add the ravioli to a pot of boiling water one at a time. Cook for 2-3 minutes or until the ravioli floats. Remove from the water, place in a stainer and drain well. 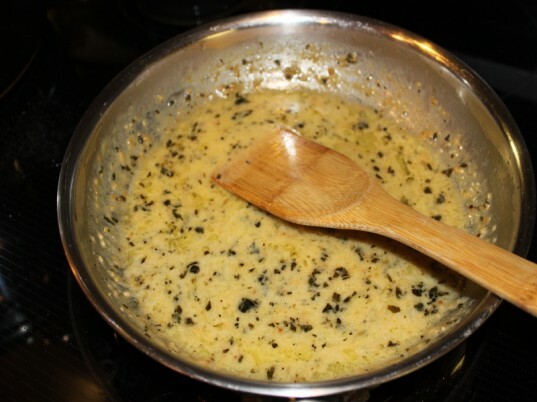 In a medium saucepan, melt the remaining butter, garlic and sage and saute until the butter starts to brown. Place several butternut squash ravioli triangles on a plate and drizzle with the butter sauce, sprinkle Parmesan cheese on the top and garnish with parsley. 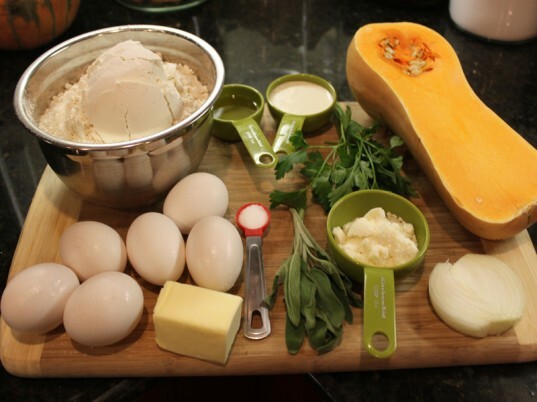 Enjoy a homemade, organic meal using fresh vegetables that are in season. The best part, my son said that these were the most delicious ravioli that he had ever eaten in his life and he ate every last bite! Melt 1 tablespoon butter in a saucepan over medium heat. Add the onions and garlic and saute for 1 minute. Add the butternut squash puree and saute about 3 minutes. 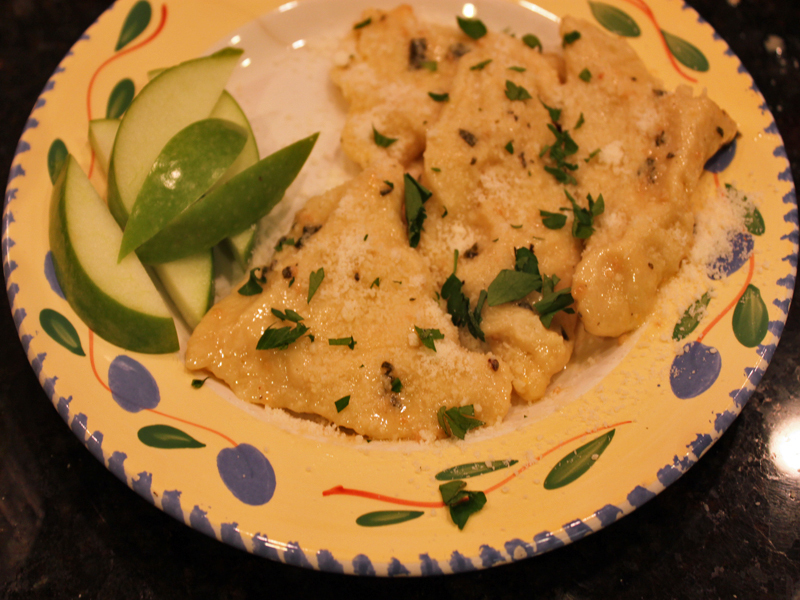 Remove from heat and add 1 tablespoon cream, 3 tablespoons Parmesan cheese and the nutmeg. Set aside. 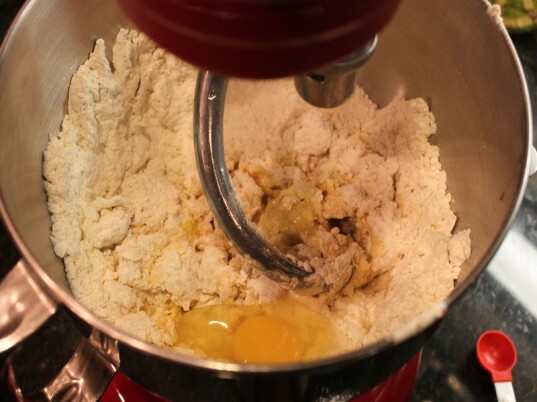 Add the flour and salt to a stand mixer using the dough hook. Add the eggs one at time, then the olive oil and mix until a ball forms. If it is too dry add a tiny amount of water, if it is too wet at a tiny amount of flour. Cut the dough ball in half, roll on half out with a rolling pin on a floured surface, shaping a large rectangle about 1/4 inch thick. Leave the other half covered to prevent drying. Use a knife to cut the dough into squares. 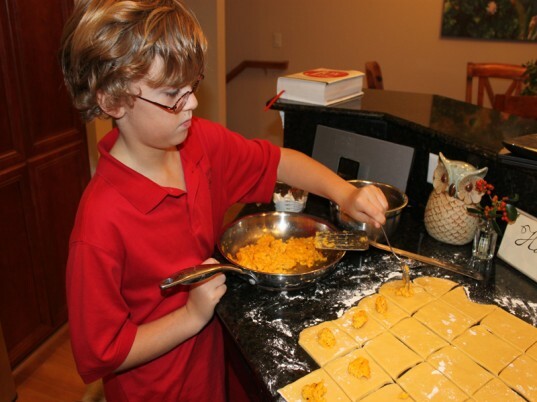 Tip: We cut our squares out to be fairly large, however they get much bigger when they are cooked, if you want smaller ravioli's cut smaller squares. Spoon a small dollop of the butternut squash mixture into the center of each pasta square. Fold one corner over to the opposite corner, forming a triangle. 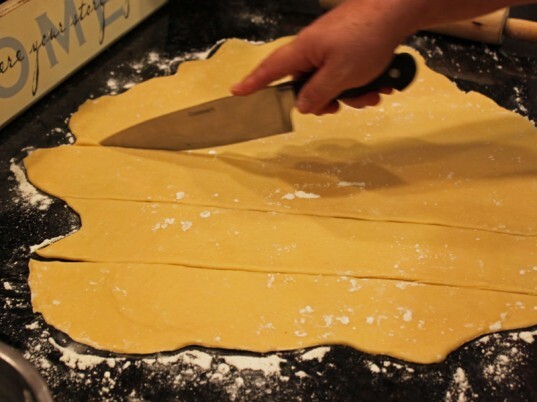 Seal the seam by pressing a fork into the edges all the way around the ravioli. Add the ravioli to a pot of boiling water one at a time. Cook for 2-3 minutes or until the ravioli's float. Remove from the water, place in a stainer and drain well.